In the world of investing, there are thousands of companies that pay dividends. While companies do not have any control on their stock prices, they do have full control over the rate and frequency of dividend distributions that they pay to shareholders. Some of the strongest companies in the world, also happen to generate a lot in excess cashflow. As a result they have managed to increase distributions consistently like clockwork for many years. The company’s CEO said: "Our ongoing financial performance reflects the strength of the McDonald's system and resilience of our Plan to Win. We remain committed to maintaining financial discipline and enhancing shareholder value. Our first priority is to reinvest in our business by allocating capital where we expect to drive sales and cash flow, generating strong returns. After these investment opportunities, we expect to return all of our free cash flow to shareholders over the long term through dividends and share repurchases. Today's dividend increase demonstrates our confidence in the long-term strength of our Brand." Of the stocks mentioned in this article, I find both McDonald’s (MCD) and Lockheed Martin Corporation (LMT) to be attractively valued at the moment. However I would need at least two more years of dividend increases, before I add Lockheed Martin (LMT) to my dividend portfolio. I would consider adding to my position in McDonald’s (MCD) over the next few months when I have available funds and if my asset allocation allows it. As for Microsoft’s (MSFT) dividend increase, I am not too excited about it. Several other large cap tech stocks have recently announced their intent to either initiate a dividend or pay higher dividends. Whether tech companies, which were the craze during the late 1990’s stock bubble, could afford to raise dividends for several years in a row, is yet to be seen. Piedmont Natural Gas Company, Inc. (PNY), an energy services company, distributes natural gas to residential, commercial, industrial, and power generation customers in portions of North Carolina, South Carolina, and Tennessee. It also operates various energy-related businesses, including unregulated retail natural gas marketing, interstate natural gas storage, and intrastate natural gas transportation. The company is a member of High Yield Dividend Aristocrats index, and has increased dividends for 32 years in a row. At the latest dividend increase for Piedmont Natural Gas, the company raised its distribution by 3.70% in March 2010. Over the past decade, this dividend stock has delivered a total return of 11.50% per year on average. The company has also enjoyed a persistent increase of earnings per share, to the tune of 5.70% per year on average since 2000. For 2010 and 2011 analysts are expecting EPS of $1.57 and $1.68. The annual dividend per share has increased at a rate of 4.50% per annum on average since the year 2000. The dividend payout ratio has been in a downtrend over the past decade, with short bursts up followed by reaching lower levels afterwards. While the payout ratio is higher than my 50% threshold, it is adequate for a utility company. In other words, the dividend is adequately covered from the strong and consistent revenues and earnings. The return on equity has stayed in a tight range between 10% and 13% over the past decade. Overall I find Piedmont Natural Gas Company to be an attractively valued dividend stock. The company trades at a P/E of 13.80 , yields 4%, and has an adequately covered distribution, which has grown above the rate of inflation over the past decade. I would consider initiating a position in the stock at current prices. Over the past years volumes on US stock exchanges have consistently reached record levels, which were unimaginable only a few years ago. The mass electronization of markets and the death of the trading floor, has provided accessibility to anyone in the world to trade US stocks on their computer. With the decrease in commissions and bid/ask spreads, investing in stocks has never been more appealing. Because of the ease of trading electronically, a large portion of the volume these days is being generated by super computer programs, which have been set up to squeeze in tenths of a cent from exchanges in liquidity rebates and spread running hundreds of times per day. The flash crash of 2:45 on May 6, 2010 showed investors that super computers pretty much rule the market these days. As a result, it may seem that only big investment banks such as Goldman Sachs (GS) which could afford to invest millions in sophisticated trading algorithms have any edge in the market. This statement is partially correct, but only to the extent that one is trading with a short term horizon. There still seem to be pockets of opportunity, where the quarter end results mesmerized investment banks do not have the patience to venture out. One such pocket of opportunity entails following a strategy where investors disconnect themselves from WallStreet, and instead focus on what stands behind the stocks they are analyzing. This strategy has actually been followed by famous investor Warren Buffett throughout his investment idea. He is famous for saying “Even if they close the market for 5 or 10 years, we still make money”. 1) The stock is trading at an attractive valuation. Depending on your style of investing that could be based off a P/E ratio of below 20 or a net current asset value to stock price of less than one. 2) The company behind the stock has solid competitive advantages, is run by competent management, and could achieve decent growth in earnings over time. 3) The company shares a portion of its growing profits with shareholders, by paying growing dividends. Dividend investors are particularly well positioned for a situation where the market is closed, particularly because they are mainly interested in receiving a stable and growing stream of distributions, while seeing the business they invested in years ago keep growing. The stock market is important to dividend investors mainly to check for mispriced opportunities. While it would be unfortunate if the stock market were to remain closed for 5 to 10 years, dividend investing would still work. In fact dividend investing works in all market conditions, since it keeps providing a return on investment regardless of market conditions, as long as the business fundamentals allow it to do so. To most dividend investors a fall in stock prices is seen as an opportunity to accumulate more quality companies at bargain prices. These stocks are just a sample of strong dividend payers, which have been able to raise distributions to their loyal shareholders for years or decades. For lists of complete dividend growth stocks, check out the dividend champions list maintained by David Fish. A company typically initiates a dividend when it plans on paying it for the long term. It is signaling to the market that its operations are steady and self-sufficient enough to start returning profits to loyal shareholders. The danger to a company that lowers or suspends its dividend is frequently a violent market reaction on the down side. As more companies are seeing the first signs of the economic turnaround, the number of dividend increases is rising. It is particularly intriguing when companies, which had cut distributions during the crisis, are starting to raise them again. "These actions are evidence of our company's ongoing commitment to return value directly to our shareholders," said Rich Templeton, Texas Instruments Chairman, President and Ehief Executive Officer. I am placing the following companies on my watching for further research: Yum Brands (YUM) and Texas Instruments (TXN). I have a small position in Yum Brands (YUM), which seems to be doing very well in China, and I am looking to further add to my position on dips below $40. Last week I mentioned that tech stocks like Texas Instruments (TXN) might be changing their strategy to start paying higher dividends to shareholders. I would be researching TXN further in the future in order to evaluate whether it has a place in a dividend portfolio. The problem with tech stocks is that few have a "wide-moat". Many are subject to rapid technology obsolescence, which causes them to re-invest most of their earnings back into the business just so they could maintain their share in the market. Most large cap tech stocks have hoarded billions of dollars in cash on the balance sheets, which sits idly or is used to overpay for companies with strategic patents in bidding wars for tech dominance. Given all of the above, it is not at all surprising that few technology stocks have traditionally paid dividends. After the burst of the dot-com bubble however, many tech companies have started to pay dividends to their investors, many of which are probably still sitting on large unrealized losses. Examples of that include Microsoft (MSFT), Qualcomm (QCOM) and Oracle (ORCL). Cisco Systems (CSCO) is the latest large-cap name in the technology sector to announce their intent to pay a dividend by July 2011. Typically, companies that initiate a dividend tend to perform well over the months after the first payment. 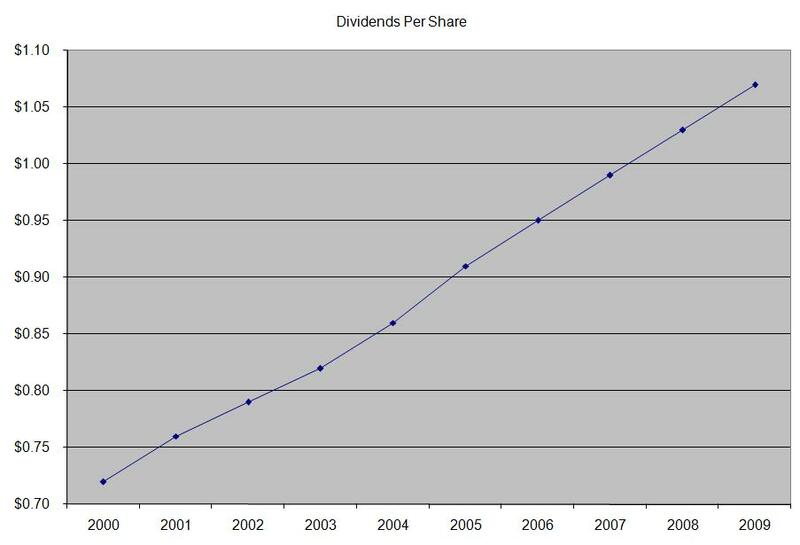 For Cisco investors, this small dividend would provide some return on their investment, which has been mostly flat since 2002. Whether Cisco will be able to grow the dividend is yet to be seen however. Other tech bellwethers such as Intel (INTC) however have been paying a dividend since 1992, and have been regularly increasing it with the exception of 2002 and 2003. The company has still managed to generate outstanding growth in revenues and earnings over the period it paid dividends. Intel Corporation designs, manufactures, and sells integrated circuits for computing and communications industries worldwide. The company yields 3.40%, trades at a P/E of 11.20 and has an adequately covered dividend. Most large cap tech stocks still seem to prefer stock buybacks to dividends. 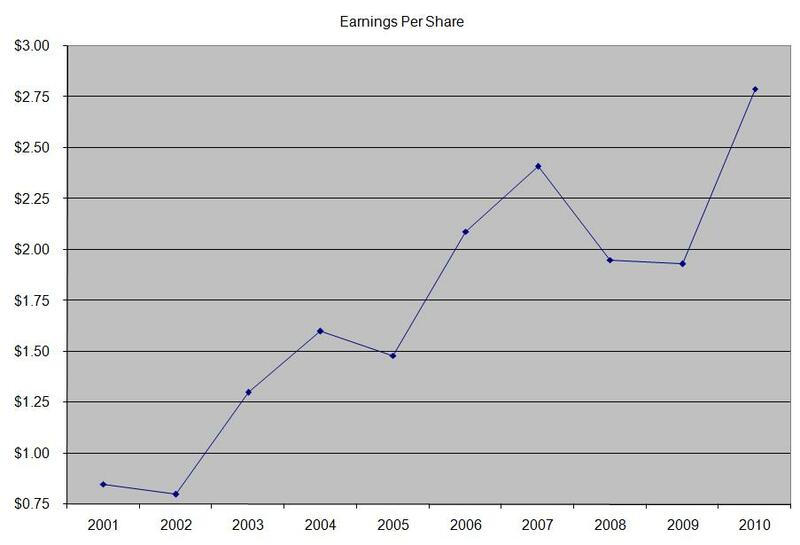 Intel (INTC) has shrunk the amount of shares outstanding from 6.73 billion in 2000 to 5.52 billion in 2009. IBM has shrunk the amount of shares outstanding from 1.75 billion in 2000 to 1.31 billion in 2009. Microsoft (MSFT) has reduced the amount of shares outstanding from 10.76 billion in 2001 to 8.76 billion in 2010. The issue with buybacks is that they generally tend to be initiated and maintained when companies are flush with cash and as a result of higher earnings stock prices are high. During recessions companies end up eliminating their stock buyback programs, in an effort to conserve cash. In retrospect the companies end up spending shareholders money at overvalued stock prices, and stopping their buyback programs when prices are low. Another reason for buybacks is that they tend to mask the dilution of shareholders by options exercised by management at favorable prices. In addition to that, if managers are evaluated on earnings per share, they would have a better incentive to retire as much stock as possible. This would help them to increase earnings per share, even if total earnings are flat. For shareholders to receive a consistent return on investment and to unlock the value of the cash rich balance sheets of tech companies, they should demand dividends. Dividends would provide them with an annual return, which is less volatile and more stable that relying on price increases alone. In addition to that, this is would provide another incentive for shareholders to keep holding onto their shares, which have probably gone nowhere over the past decade. I often get asked by new readers about the reasoning behind my fascination with companies that have a long history of consistent dividend increases. Often readers would see how a company like Wal-Mart (WMT) has raised distributions for many years, and yet still yields 2.40%. The answer to their question is as simple as understanding yield on cost. Before we begin with yield on cost, it is important to understand how current dividend yield is calculated. By dividing the annual dividend payment by the stock price, one gets the current dividend yield. For example Wal-Mart (WMT) trades at $49.43, and pays a dividend of $1.21/share. As a result the current dividend yield is 2.50%. Given the fact that the company has raised dividends for over 36 years however, to the novice investor this might not look like a big achievement. After all, it is easy to purchase a high yielding master limited partnership such as Kinder Morgan (KMP) and get a yield which is almost three times the amount of yield one could generate by purchasing Wal-Mart (WMT) stock. The truth is that today’s investor will generate 2.50% dividend yield over the next year. In other words an investor who puts $100 in Wal-Mart (WMT) today will generate $2.50 in annual dividend income. As a result if the price of Wal-Mart (WMT) doubles from here, but the dividend payment remains unchanged, our investor will keep receiving $2.50 in annual dividend income, despite the fact that current yield would be 1.25%. What the current yield doesn’t tell is what the yield on cost over the next year or decade is going to be. If the price of Wal-Mart (WMT) stock doubles over the next decade, but the dividend payment doubles as well, the current yield would likely stay around 2.50% in ten years. The yield on cost of the original investor with the $100 investment would be a cool 5%. Most novice investors in ten years would likely still ignore Wal-Mart (WMT) because of its supposedly low yield, while missing the important fact that rising dividends will lead to rising yield on cost over time. 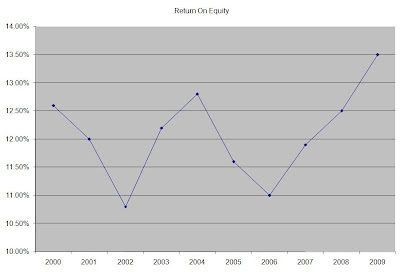 The investor who purchases stocks with yield on cost in mind will be able to generate yields on cost on his original investment that will be much higher than the current yields on even high yielding stocks such as mortgage reits American Capital Agency (AGNC) or Hatteras Financial (HTS), with just a fraction of the risk. The key component is selecting stocks with strong competitive advantages, which grow earnings and could therefore grow distributions. Last but not least, investors should also allow some time in order to generate high yields on cost. Some dividend investors prefer waiting for a decade before attaining an yield on cost of 10%. Others, myself included, simply focus on finding strong companies with long histories of dividend growth, and let yields on cost increase for the maximum periods of time possible, without setting any targets. Needless to say, purchasing high quality dividend stocks is more of an art than science. By focusing your attention on such lists as the dividend achievers or the dividend aristocrats however, dividend investors have a high chance of succeeding in their quest for growing income. Most of the original dividend aristocrats were able to achieve substantial yields on cost for a period of 20 years. Even those that managed to freeze distributions were able to generate high yields on cost over time, in addition to generating capital gains as well. Lowe’s Companies (LOW) is still a component of the index after 20 years. The company has increased its dividends for 47 consecutive years. A dollar invested in MAS in 1989 would have turned out to $25.40 with dividends reinvested. The yield on cost is 39%. This goes to show that a company could achieve high growth rates, while still being able to pay increasing dividends. Altria Group, Inc. (MO), through its subsidiaries, engages in the manufacture and sale of cigarettes, wine, and other tobacco products in the United States and internationally. The current state of the company was finalized after a 2007 and 2008 spin-off of Kraft Foods (KFT) and Philip Morris International (PM). Because these divisions accounted for over two-thirds of the company’s profit before the spin offs, the dividend payment had to be prorated for the legacy US tobacco business. As a result it appeared to be lower than before, while in reality an investor in Altria in early 2007 would have not only maintained but also increased their dividend income. If the dividend record of the old Altria was continued to these days, an investor would find out that the company has raised distributions for 43 consecutive years. This tobacco stock was the best performer in the S&P 500 for the 50-year period from 1957 to 2007. Currently the company is trading at a low P/E of 13.60, yields 6.70% and has a dividend payout ratio of approximately 80%. The current annual dividend is $1.52/share, and has been raised twice this year. 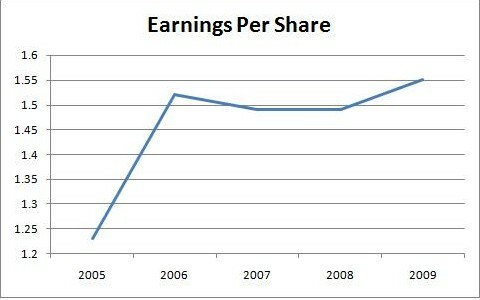 The company earned $1.54/share in 2009 and is expected to earn $1.90/share in 2010 and $2/share in 2011. Altria has a target dividend payout ratio of 80% of earnings per share. This means that the company can afford to pay a dividend of $1.60 by next year, and increase of about 5%. Since 2005, earnings per share from continuing operations attributable to Altria Group have increased by 6% annually. The economics of the tobacco business are really interesting. Most of the revenue generated from sales go to Federal and State governments, while the cost of the actual product is very small relative to its sales price. The demand is inelastic. When prices for products increase, the increase more than offsets the decrease in consumption caused by the price. This leads to increase in revenues for the cigarette manufacturer. Supposedly even Warren Buffett liked the economics of the tobacco business in the 1980’s when he said: "I'll tell you why I like the cigarette business. It costs a penny to make. Sell it for a dollar. It's addictive. And there's fantastic brand loyalty.” However the increased regulatory actions against tobacco companies have prevented him from investing in the industry since “investments in tobacco are fraught with questions that relate to societal attitudes and those of the present administration...I would not like to have a significant percentage of my net worth invested in tobacco businesses." The issues that prevent some investors from purchasing Altria stock are potential liabilities related to possible unfavorable judgments against the company. There were 129 cases pending against the company at the end of 2009 for example. Back in the late 1990’s for example the company’s stock price was hammered on fears that lawsuits could potentially wipeout Altria. In reality it is doubtful that the company would go under, since its tax revenues are needed to fill the empty state and local coffers. Altria Group, Inc. also held a 27.3% economic and voting interest in SABMiller plc at December 31, 2009. The stake in the company was worth $12.70 billion at year end, which was higher than the 5 billion the investment is recorded on Altria’s books. I view Altria as a hold if held on its own. If investors also own a share of Phillip Morris International (PM) for every share of Altria (MO) that they own, I would only then view Altria as a buy. Phillip Morris International (PM) owns the international operations of Altria and was spun off in 2008 as an independent company. The reason for that is that the risk of potential ban on tobacco products in the US which might jeopardize US tobacco businesses, is higher for Altria than Phillip Morris International. In addition to that, PMI has much greater growth prospects than Altria. International diversification is often cited as a must have for US investors, especially during periods when the dollar index is weakening and the US economy is soft. The rationale behind this idea is that a recession in the US is less likely to lead to recession in all countries. With the increased globalization and ease of capital movements across borders however the benefits of diversification can be rather elusive. This being said however, there might still be an ounce of truth behind the idea of diversifying globally, which might be beneficial to dividend portfolios. Investing internationally does come with its own peculiarities however. For example the rest of the world seems to be following IFRS accounting standards, while US companies report under US GAAP. In addition to that, US investors could be subject to withholdings on foreign dividends received, which could only be deducted in taxable accounts. Furthermore, most foreign companies pay dividends in local currency, which is then translated into US dollars, before being remitted in investors’ brokerage accounts. This could lead to volatility in the US dollar dividend incomes of investors, whereas the dividend income could have been flat or rising in the foreign currency. In order to make investors comfortable with investing internationally, I typically focus mostly on foreign shares which trade on US exchanges. That way investors would not have to worry about setting up foreign accounts with brokers abroad. However if you wish to start a portfolio consisting of telecom stocks from all countries in Eastern Europe, then this article is not for you. The differences between US and foreign based companies traded on US exchanges are the most I would like to worry about. Nestle (NSRGY) engages in the nutrition, health and wellness sectors. This international dividend achiever has raised distributions each year since 1997. The stock currently yields 2.80%. When I select international dividend stocks I typically use the foreign currency to determine whether the dividend was being increased for several consecutive years. I find that relying only on US dollar amounts for dividends paid produce volatility in income which could mostly be attributed to exchange rate fluctuations. While Investors in ADR’s such as the ones listed above will receive their dividend in US dollars, the history of dividend increases was generated in their respective foreign currencies. Another issue that I have uncovered is that some companies pay distributions on a different schedule than US companies do. Nestle for example pays dividends once per year, while Diageo (DEO) pays dividends twice per year. Diageo’s first half dividend is always lower than its second half dividend, which somehow always manages to scare novice investors, who tend to assume that the distribution was cut. The dividend approach to investing is not a get rich scheme. Investors who ultimately make money with dividends are interested in slow but steady returns, low volatility and positive feedback in the form of dividends during all market environments. The companies that manage to raise dividends for long periods of time are characterized by having a strong brand, and strong competitive advantages that help them increase earnings over time. Only companies that expect strong earnings in the foreseeable future will commit to raising dividends. As a result investors in these dividend machines enjoy an increasing stream of dividend income, which matches or exceeds inflation over time. Diageo plc (DEO) engages in producing, distilling, brewing, bottling, packaging, distributing, developing, and marketing spirits, beer, and wine. This British company pays dividends twice per year, and the payments are split 40:60. The board of directors most recently recommended a final dividend of 23.50 pence per share, an increase of 6% from the year ended 30 June 2009. The full dividend would therefore be 38.10 pence per share, an increase of 5.5% from the year ended 30 June 2009. In addition to that the company announced it expects to raise dividends by another 6% in 2011. This international dividend achiever has raised dividends for over one decade and yields 3.50%. Check my analysis of the stock. The above list shows companies that raised dividends for the week. It is not a recommendation to buy or sell securities. I screen the list of dividend raisers every week in order to Uncover Hidden Dividend Gems, as well as to evaluate the overall breadth in dividend increases versus dividend cutters. Medtronic, Inc. (MDT) develops, manufactures, and sells device-based medical therapies worldwide. This dividend champion has raised distributions for 33 years in a row. Over the past decade this dividend stock has produced a negative total return of 2.20% per year. The company was grossly overvalued in 2000, ending the year at a P/E of 68 which explains the poor returns over the past decade. 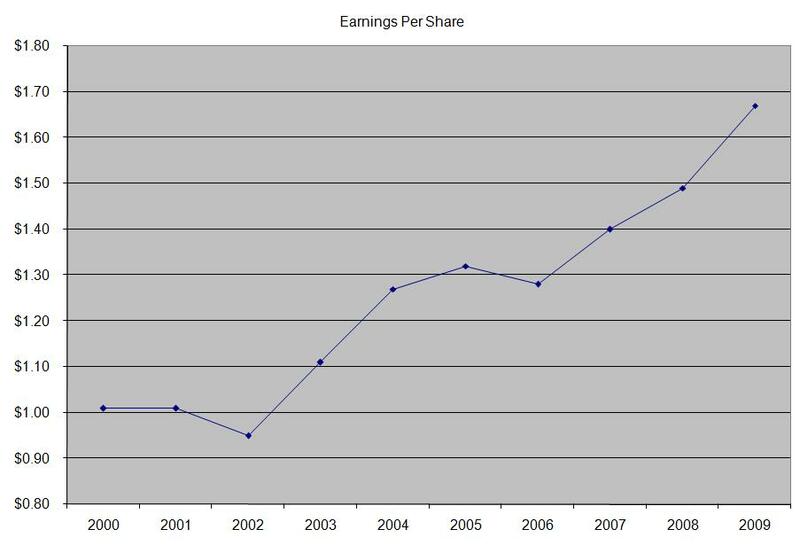 Earnings per share have increased by 14.10% per year since 2001. 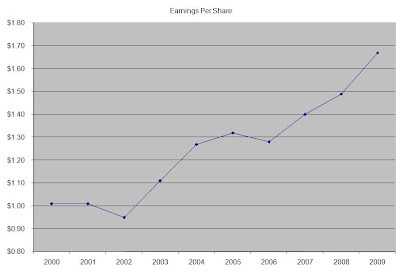 For FY 2011 analysts expect earnings to grow by 25.40% to $3.50, followed by an 8.60 % increase to $3.80 in FY 2012. The annual dividend payment has increased by 17% per year since 2000, which was higher than the growth in earnings. The company has managed to achieve that by paying a higher portion of earnings to shareholders in the form of dividends. A 17% dividend growth translates in dividend payment doubling almost every 4 years on average. If we look at the company’s dividend history since 1977, the company has indeed managed to double quarterly dividend every 4 years on average. 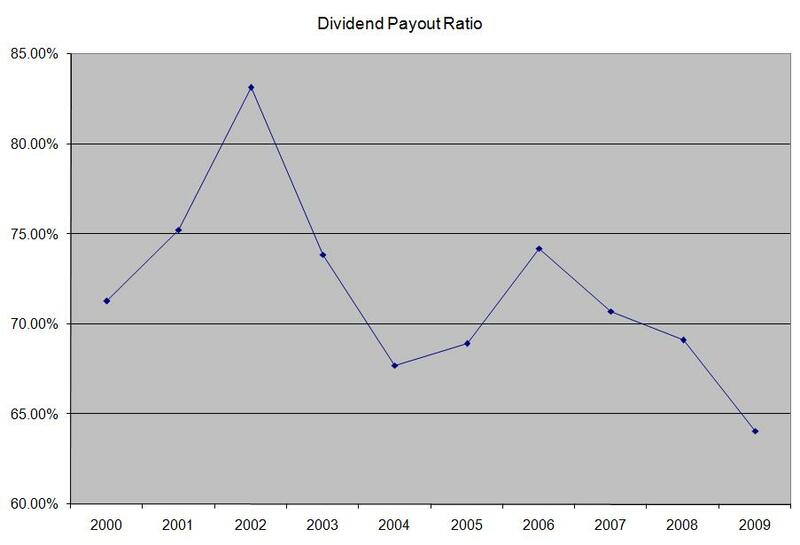 The dividend payout ratio has increased from 24% in 2001 to 29% in 2010. Between 2002 and 2007 the company raised dividends at the pace of earnings growth, as evidenced by a stagnant payout ratio during the period. Since then however the company has started to raise dividends at a much higher rate, which indicates that there are high chances that investors could realize a high yield on cost in the future. 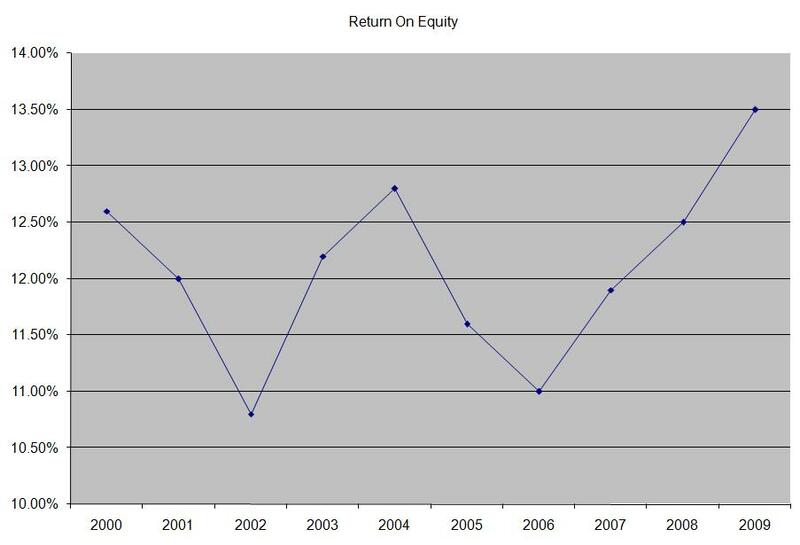 Returns on equity have remained above 19 for the majority of the past decade. Overall the ROE increased steadily over the past decade. Overall Medtronic looks attractively valued at a P/E of 10.30, an adequately covered dividend and a yield of 2.80%. In comparison rival CR Bard (BCR) has a P/E of 16.00 and yields 0.90%, while rival Becton Dickinson (BDX) yields 2.10% and trades at a P/E of 13.80. While the stock has gone nowhere for one decade, the company has managed to more than triple earnings per share, which makes it a bargain at current prices. Many companies like Medtronic (MDT), Johnson & Johnson (JNJ) and Becton Dickinson (BDX) were overvalued in 2000, which explains why buy and hold dividend investing didn’t work as well over the past decade. If Medtronic’s earnings growth managed to be half as good as it were over the past decade, the stock could do well over the next decade. The dividend achievers index consists of US stocks which have raised their dividends each year for at least a decade. Over the past 20 years, this index has managed to outperform the S&P 500 by half a percentage point annually. The dividend achievers index is a great list of dividend stocks as a start. After applying criteria specific to one’s investment strategy, a manageable list for further research could be easily generated. For busy investors who would rather not have their hands dirty, there are several dividend etfs focusing on the dividend achievers. One such option is the Powershares Dividend Achievers (PFM) ETF. Another option is the Vanguard Dividend Appreciation ETF (VIG). Atlantic Tele-Network, Inc. (ATNI), through its subsidiaries, provides wireless and wireline telecommunications services in North America and the Caribbean. The stock yields 1.70% and trades at a P/E of 24. Casey’s General Stores, Inc. (CASY), together with its subsidiaries, operates convenience stores under the Casey’s General Store, HandiMart, and Just Diesel brand names in the Midwestern states. The stock yields 1.00% and trades at a P/E of 16.70. EOG Resources, Inc.(EOG), together with its subsidiaries, engages in the exploration, development, production, and marketing of natural gas and crude oil. The stock yields 0.60% and trades at a P/E of 49.60. FactSet Research Systems Inc. (FDS) provides financial and economic information on various companies, analytical applications, and client services to the portfolio managers, research and performance analysts, risk managers, marketing professionals, sell-side equity research professionals, investment bankers, and fixed income professionals worldwide. The stock yields 1.20% and trades at a P/E of 25.80. Graco Inc. (GGG), together with its subsidiaries, provides fluid handling solutions to manufacturing, processing, construction, and maintenance sectors worldwide. The stock yields 2.50% and trades at a P/E of 24.30. Hudson City Bancorp, Inc. (HCBK) operates as the bank holding company for Hudson City Savings Bank that provides a range of retail banking services. The stock yields 4.90% and trades at a P/E of 10.60. Murphy Oil Corporation (MUR) engages in the exploration and production of oil and gas properties worldwide. The stock yields 1.70% and trades at a P/E of 13.40. Northeast Utilities ( NU), a public utility holding company, engages in the energy delivery business for residential, commercial, and industrial customers in Connecticut, New Hampshire, and western Massachusetts. The stock yields 3.50% and trades at a P/E of 16.70. NSTAR (NST), through its subsidiaries, engages in the distribution, transmission, and sale of energy in Massachusetts. The stock yields 4.20% and trades at a P/E of 11.20. People’s United Financial, Inc. (PBCT) operates as the bank holding company for People’s United Bank that provides commercial banking, retail and small business banking, and wealth management services to individual, corporate, and municipal customers. The stock yields 4.50% and trades at a P/E of 58.60. Plains All American Pipeline, L.P. (PAA), through its subsidiaries, engages in the transportation, storage, terminalling, and marketing of crude oil, refined products, and liquefied petroleum gas and other natural gas-related petroleum products. The units of this master limited partnership yield 5.90% and trade at a P/E of 23. PPL Corporation (PPL), through its subsidiaries, generates and markets electricity to approximately 4 million retail, commercial, and industrial customers in the northeastern and western United States and the United Kingdom. The stock yields 5.20% and trades at a P/E of 24.20. Prosperity Bancshares, Inc. (PRSP) operates as the holding company for Prosperity Bank that provides retail and commercial banking services to small and medium-sized businesses and consumers. The stock yields 1.80% and trades at a P/E of 13. South Jersey Industries, Inc. (SJI), through its subsidiaries, engages in the purchase, transmission, and sale of natural gas for residential, commercial, and industrial customers. The stock yields 2.70% and trades at a P/E of 24.40. StanCorp Financial Group, Inc. (SFG), through its subsidiaries, provides group insurance products and services in the United States. The stock yields 2.10% and trades at a P/E of 9. TC PipeLines, LP (TCLP), together with its subsidiaries, transports natural gas in the United States, eastern Canada, and Mexico. The units of this master limited partnership yield 6.70% and trades at a P/E of 17.20. Telephone and Data Systems, Inc. (TDS), through its subsidiaries, provides wireless and wireline telecommunications services in the United States. The stock yields 1.30% and trades at a P/E of 21.10. Before rushing to purchase those stocks however, investors should evaluate the sustainability of the distributions from each individual company first. In reality, few of the companies added to the index in 2010 would be part of it 20 years from now. When I examined the 1991 Dividend Achievers additions, I noticed an interesting trend. Of the 20 additions for 1991 only 2 remained in the index 19 years later. On average the expectation is that a company would keep raising distributions for ten years after being admitted in. Check the research and the findings here. The new additions list is also heavy on utilities, energy companies and financials, with the exception of Altria (MO), Graco Inc. (GGG) and Casey’s General Stores, Inc. (CASY). - 1991 Dividend Achievers additions- Where are they now?